Recovery is paramount after every training or exercise session. If you are not optimising recovery, then you will never achieve your best results. 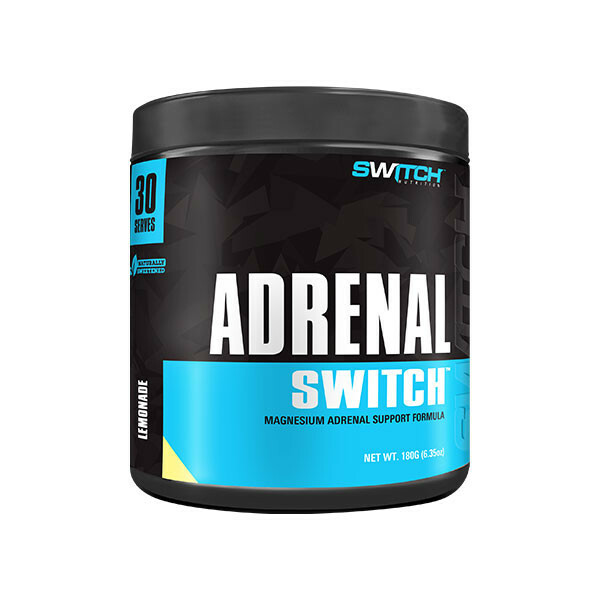 SWITCH NUTRITION™ have set out to develop the perfect adrenal formula by combining the above key nutrients with L-Leucine to SWITCH ON protein synthesis (muscle repair) and L-Glycine to SWITCH OFF muscle breakdown.